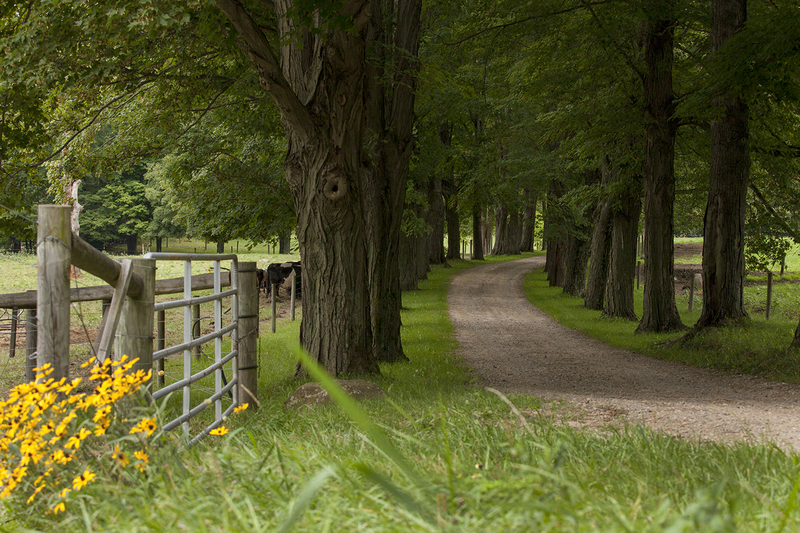 Our objective is to preserve Snake Hill Farm for our own use and as a model to others. Sustainable agriculture supports this objective by making the land productive on a profitable basis. Snake Hill Farm has been growing organic produce and raising beef organically since we were first certified by the Ohio Ecological Food and Farm Association (OEFFA) in 1996. Beginning in 2002 we met the new Federal organic standards and earned the right to display the “USDA Organic” label. We emphasize high quality, nutritious foods made available direct to customers in season. We are also striving to exceed organic standards by pursuing ecologically sustainable production methods that minimize reliance on off-farm inputs. This means using sunshine and rain to grow pasture and managing manure for maximum benefit. The farm also includes historic buildings listed on the National Register of Historic Places. Maple syrup complements the other enterprises by providing income from the farm’s managed woodlands. A conservation easement with the Western Reserve Land Conservancy protects the property, where members of our family have lived for over 100 years.